This is new for Fall 2018 ! 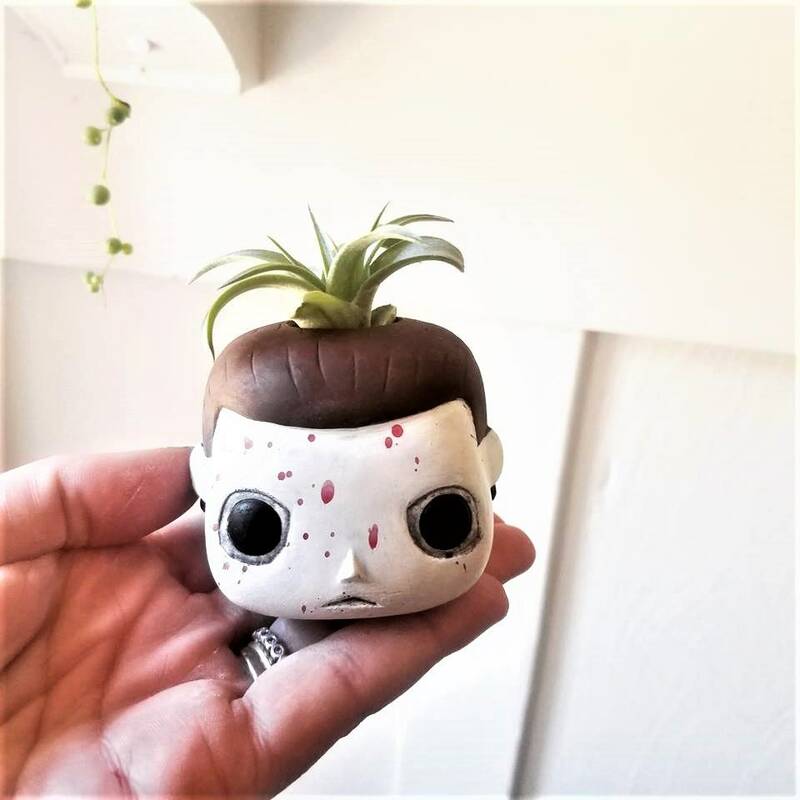 My Funko inspired collection just keeps growing... more classic horror movie characters are coming soon. 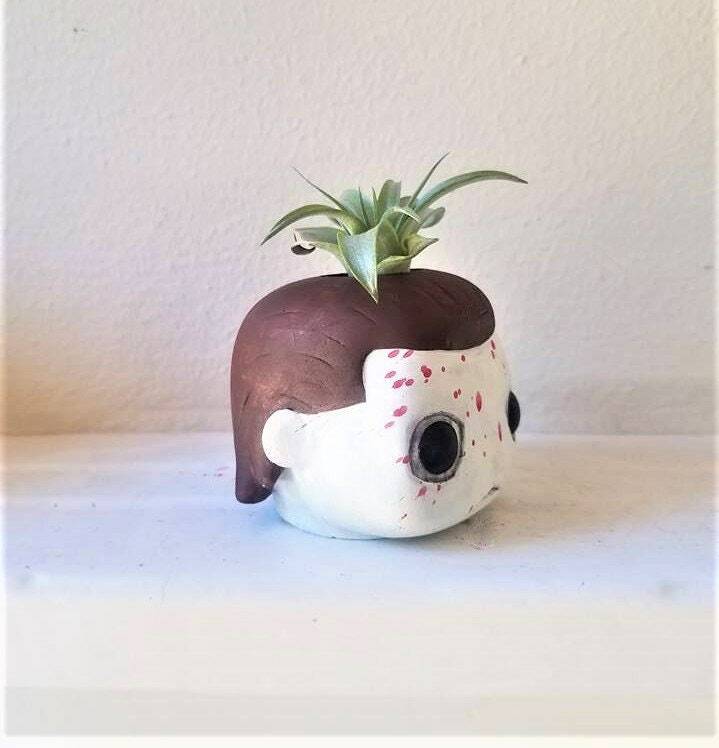 This little blood splattered Michael Myers is perfect for clustering with the other horror movie inspired pieces listed in the shop now! 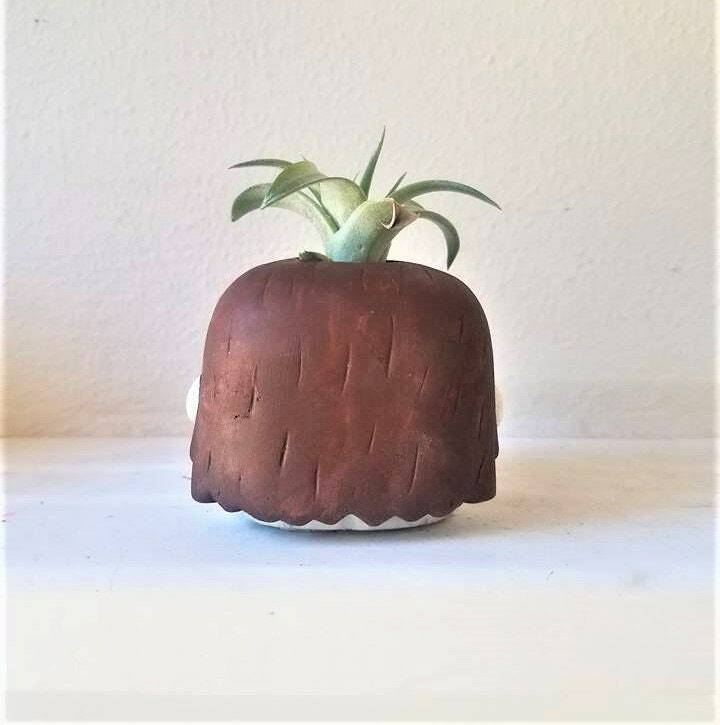 Opening for air plant is 7/8"
Listing is for 1 Michael and 1 air plant. 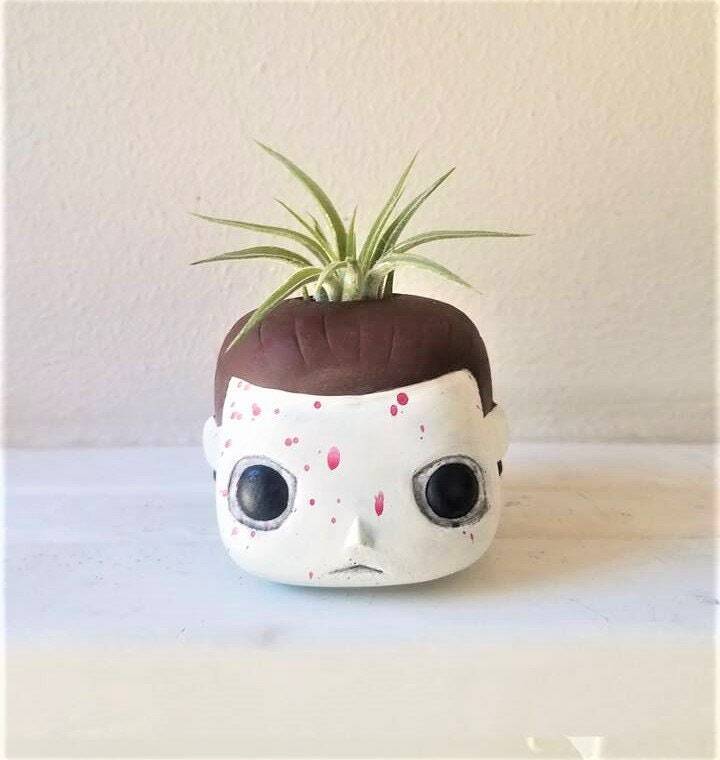 Will come with an air plant and care instructions for the air plant. See my shop for more funky, nerdy, and scary designs! *each item is made to order, please see posted lead time for all listings. This little guy is adorable & very impressive! The detailing is incredible! I purchased him for an Xmas gift but I really don’t want to give him away lol! Really nice seller to work with too 🙂 thank you!! Item looks great. Arrived in timely manner. Seller excellent communicator. Thanks!